Vantage - Premium Tennis Racquets. To play your best tennis, it's important to use the right equipment. For over 6 years, we have been building custom racquets for players of all ages and ability. Define your own custom racquet online or call for any advice or assistance. You won't get a more personal service anywhere in the industry. 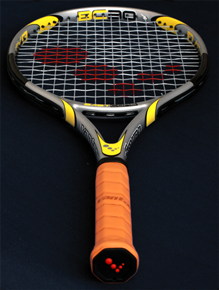 Start playing better tennis today, start using a Vantage Custom racquet. a great understanding of racquets, we would love to talk to you. Complete our coach application form and start using, promoting and selling Vantage racquets in your area. You might need to pinch yourself after trying our new BASTCORE racquets. Its been almost 30 years since a racquet with this much feel was available. Simple and understated. Whatever colour combination you choose for your Vantage Custom racquet, it's in a league of its own.